Italy has been overwhelmingly amazing so far! There is so much to see and take in. Almost more than you could ever see in a lifetime. Our first day here we saw the Duomo which was absolutely amazing! 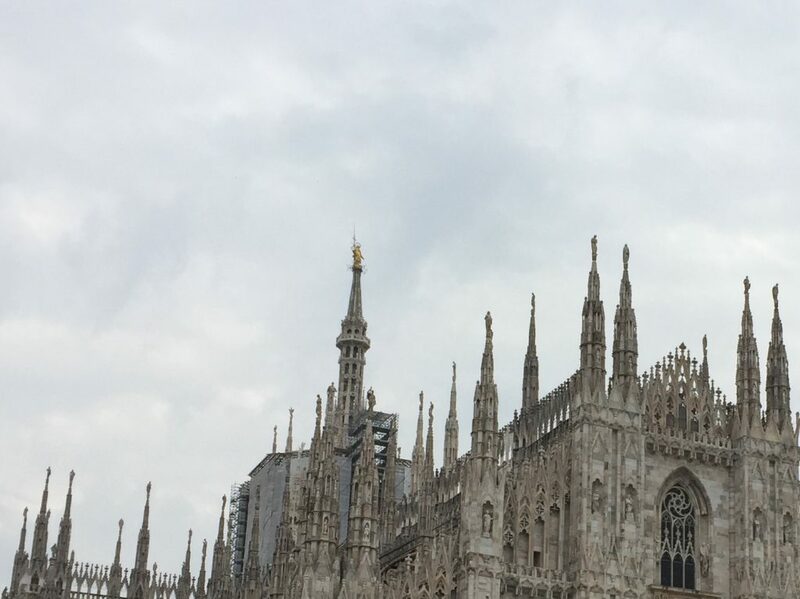 Our second day here we visited three fascinating museums: the Basilica di Sant’Ambrogio, the San Maurizio al Monastero Maggiore, and the Biblioteca Ambrosiana. Our first weekend in Italy we traveled to Rome and saw the Vatican, Trevi Fountain, the Spanish Steps, the Colosseum, and Palatine Hill. Italy is such a beautiful place and has such a captivating culture. Today we visited the Sforza Castle in Milan which had yet another extraordinary museum with exhibits such as unfinished works by Michelangelo Buonarroti and Galileo’s compass! In addition to all the astounding sites we have seen we have also made lifelong friendships and memories. We cook meals and eat together regularly like family, struggle through navigating the metro system together, and explore this tantalizing country together. Going to class and interacting with our instructors helps us tie all these experiences together. They encourage us to think about all the things we are seeing and experiencing and how to see things in a different light. I have many pictures I would like to post on here but my laptop is low on disc space and will not allow it right now. I will do my best to post some pics from my room mate’s computer before our trip is over. We have an early train to catch tomorrow to visit Florence! !